Hullo! 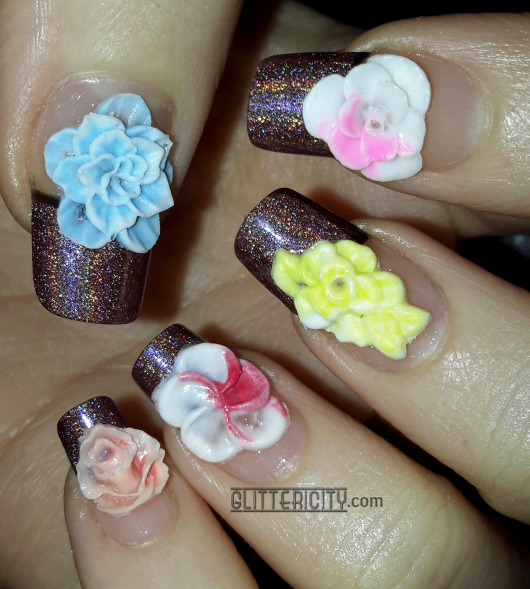 Last mani before I take off for a week, and last review item from my latest Born Pretty Store haul :) I saw Anna review some similar 3D rubber flowers years ago, and finally got to try them myself! I've painted the French tips with two coats of Coffee Love from Layla Cosmetics. 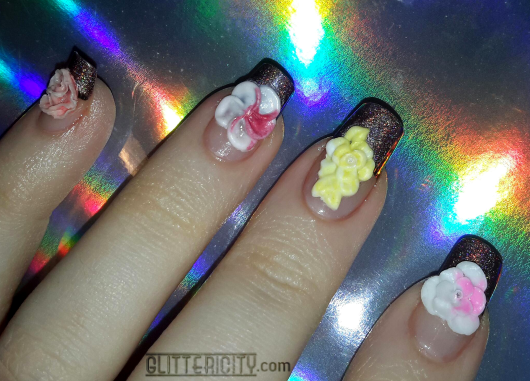 This brown holo is one of my favourite polishes! I then outlined the tips with a thin liner brush and some black acrylic paint. 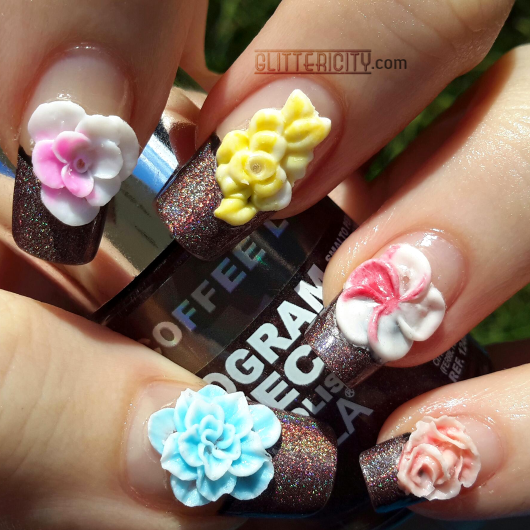 Finally, I applied the rubber flowers with some topcoat. This lasted long enough for photos, but they quickly peeled off. They're too smooth on the back for this to work. So I buffed the backs of them very lightly (VERY lightly--they're quite thin, so you have to be careful with this). 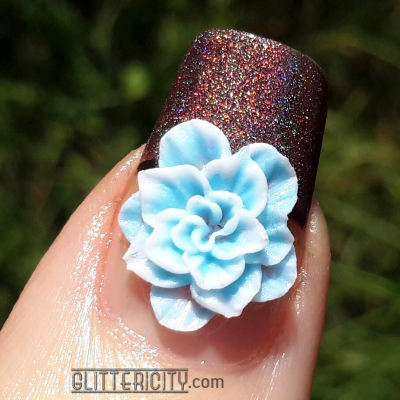 Once I removed the shine and used nail glue to stick them down, they stayed on for a whole day. They're really pretty, nice quality, and reusable since I was able to just peel them off. I'm going to adhere these with acrylic next time and maybe at least encase the outer edges of them. These lovely flowers can be found here! If you order these, or any of the heaps and heaps of other goodies available on Born Pretty Store, make sure to use my discount code CITYG10 to get 10% off your order.